Easy to use: Insert the 2.5'' SATA HDD to your computer, GDS 2 software can use directly with GM MDI scanner device, no need activation. Used for: Both China GM MDI and original GM MDI tech 3. MDI Tech 3 Diagnosis Software installed 2.5' SATA HDD, you can run on Lenovo ThinkPad, T61, T400, T410, T420 and T430, X61, X200, X201, X220, X230, Other models (Intel chipset can compatible, almost all the laptop as I3 I5 / I7 series), you also can find these second-hand bran computer on our website. Provides a fully functioning Tech 2 for the MDI, and covers all other 16 pin models back to 1996. 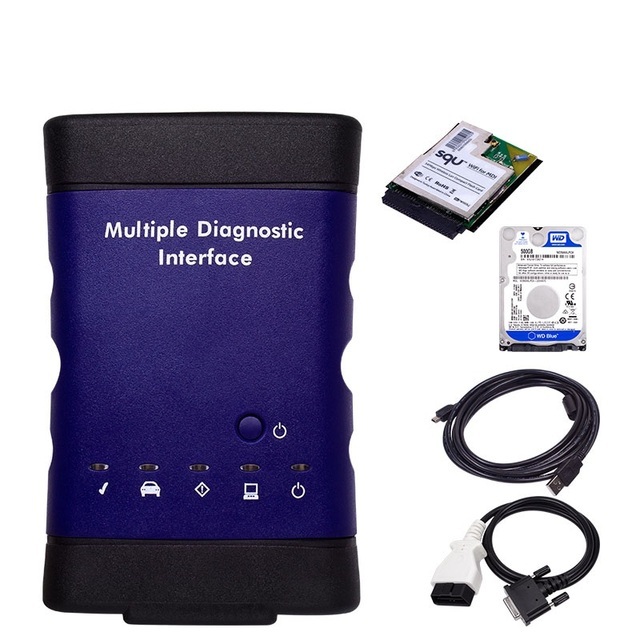 · GDS 2: Diagnostic Software for newer GM cars – it will be activated for ever never runs out. Full diagnostics platform for new GM models after 2009, including Insignia, Astra J, and Antara. Tech 2 will not cover these models.